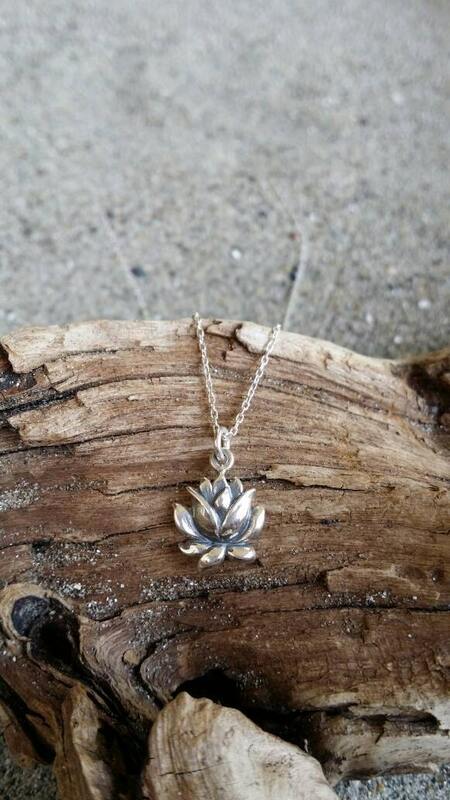 This solid sterling silver necklace has a 3 dimensional lotus flower in a smooth shiny finish and hangs from a small but strong sterling silver chain. 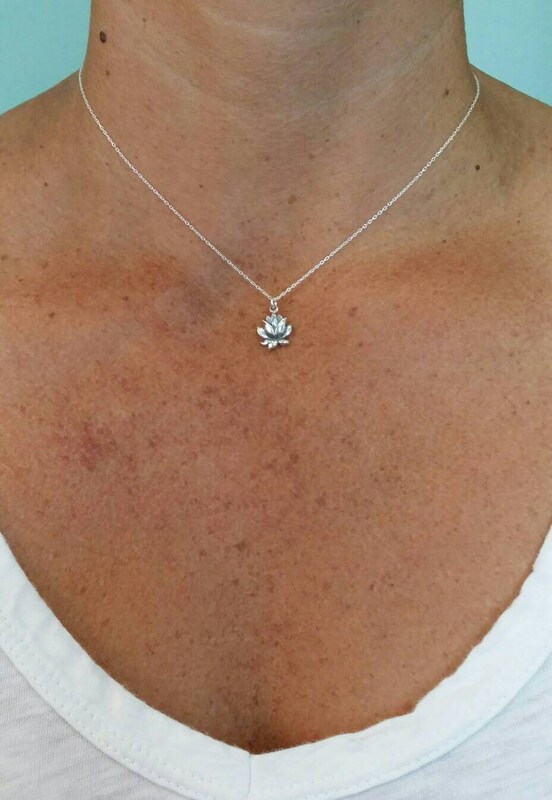 The flower measures 10mm x 15mm and shown here on a 16" chain. 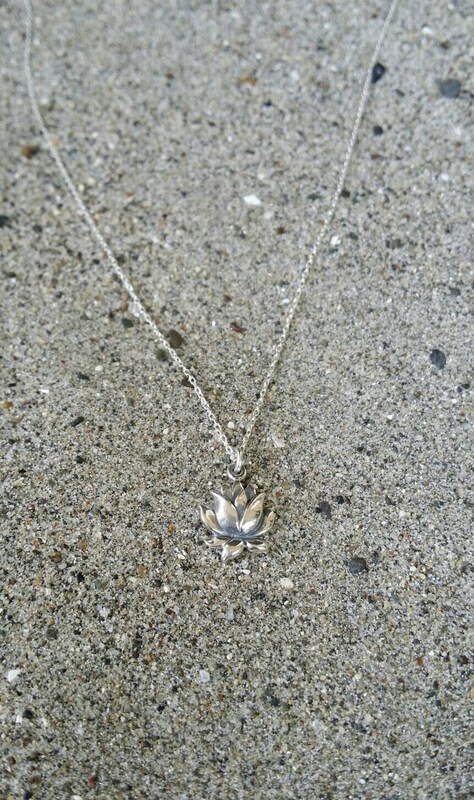 I love the size and details of the lotus!